Rights groups are estimating that some 7,000 civilians have been killed in Syria since March 2011, and the regime’s military response has intensified even further following the Russian and Chinese veto in the U.N. Security Council of a resolution that backed an Arab peace plan aimed at stopping the violence. Assad’s latest call for a Feb. 26 national referendum on a new draft constitution that would end the Baath party’s monopoly on power was quickly dismissed by the Syrian opposition and Western powers alike. The window for a political settlement seems to be quickly closing, bringing Syria even deeper into a civil war and threatening to inflame an already tense neighborhood. Fifty-two miles west of Damascus, the Lebanese government in Beirut is following these developments with interest and worry, but has not joined the Arab League or Western states in calling for Assad to step down. Lebanese officials have made it clear that Lebanon could never support a U.N. resolution that would allow the international community to intervene to resolve the crisis in Syria, mostly for fear of negative repercussions this might have on Lebanon. 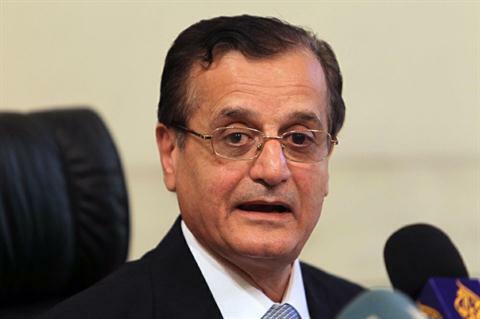 In fact, when the Syrian question first came to the Security Council last year, Lebanon dissociated itself from the presidential statement condemning Syria and has followed suit in the Arab League as well. The letter addressed some of the most important issues that have plagued Syrian–Lebanese relations for decades and pledged to end the special relationship that has heavily favored Syria since the conclusion of the Taif Accord that ended the Lebanese civil war in 1989. It did not, however, generate the response that the Syrian National Council was hoping for. The Lebanese response predictably followed the lines of Lebanese politics set by the March 8 Alliance and the March 14 Alliance, respectively named after the dates of pro- and anti-Syrian demonstrations that followed the 2005 assassination of former Prime Minister Rafik Hariri. The opposition March 14 Alliance—led by former Prime Minister Saad Hariri, son of the slain former Prime Minister and comprised of both Sunni and Christian elements—has reacted favorably to the council’s letter, calling it a “courageous step… that puts Lebanese—Syrian relations on the right political track.” The March 14 Alliance has also supported Syrian protestors’ calls for Assad to leave, though Saad Hariri’s Sunni Future Movement has carefully calibrated its opposition to Assad so as not to provoke retaliation should the regime survive. Raymond E. Karam is a policy analyst for EWI's Regional Security Initiative. A native of Lebanon, Raymond lived, studied, and worked in the Middle East for several years. He obtained a Bachelor’s of Science in Political Science and International Affairs from Hofstra University, followed by a Master’s of Science in International Relations and Transnational Security from New York University’s Centre for Global Affairs. Raymond also obtained a Certificate in International Law and European Studies from the University of Amsterdam and worked for The Hague-based Global Human Rights Defence, compiling a report on Human Rights in South-East Asia. Raymond has also worked for the Synergos Institute’s Arab World Social Innovators Program. He is fluent in English, Arabic and French and has a working knowledge of Farsi.